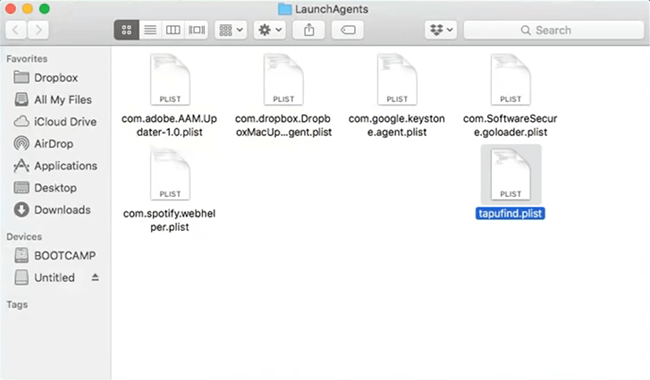 MacAppExtensions is a virus also known as Tapufind or Tapufind.com which hijacks your browser and can deny you access to your regular search engines. MacAppExtensions is a virus that hijacks your browser and is categorized as a potentially unwanted program (PUP). While the virus may not directly harm your system, it makes normal internet usage difficult, and the indirect consequences of allowing the virus on your computer are likely to be damaging in the long run. 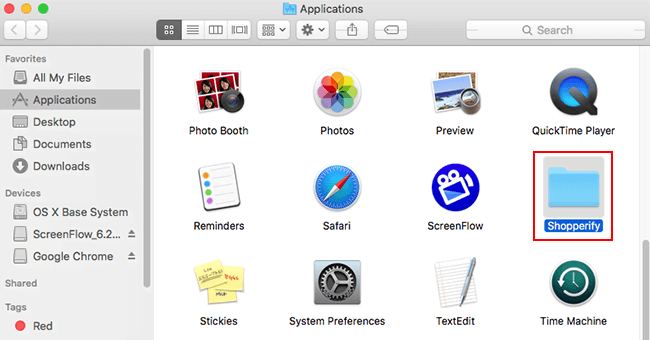 MacAppExtensions viruses commonly arrive bundled with useful programs that users did choose to download, which means it can be hard to know how their system became infected. This makes it all the more important to make sure that any new software you install is from reputable sources and that you check carefully through any add-ons that appear to be part of the package. 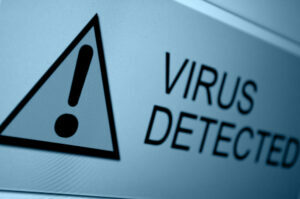 Once your system is infected, one of the first things the virus does is declare itself as the default search engine. The URL, search.tapufind.com, becomes the new default and makes it impossible to return to your previous browser. Tapufind appears to be very similar to the ChilliTab virus, with one of its defining characteristics being imitation popups that inform the user that browser updates from Mozilla, Chrome or Firefox have been successful. The popups prompt the user to accept them, which then leads to further viruses. Tapufind also comes with numerous other popups including ads, surveys and notifications which should all be assumed malicious. Using Tapufind as a search engine is also fraught with problems—aside from being bombarded with annoying popups, the search results typically include sponsored links which are dangerous in themselves. This makes normal internet browsing near impossible. It is also thought that Tapufind is linked to another browser hijacker virus known as Safe Finder. Having the two working together on your system could be a serious risk. Finally, aside from irritating popups and inadequate search results, the virus also has the capacity to track your internet use and gather personal information to be distributed to third parties. This means that your browser is no longer private or safe to use with sensitive information. Clearly, this not a virus that you want hanging around on your computer. If you have been infected, follow the steps below to remove it. 2. Find Programs and Features. 3. You will find the list of programs installed on your system. Find Search.tapufind.com, right-click and then select Uninstall. 4. Save the change and restart your system. 5. Check that the virus is no longer listed in the program list once more and look for other suspicious programs that may have been installed alongside Tapufind. You will need to be familiar with the programs you have running on your computer so that you can recognize newly installed programs which shouldn’t be there. Click on the Go button in the top left of the screen. 2. From the dropdown menu, select Applications. This will open up all the applications on your device. 3. 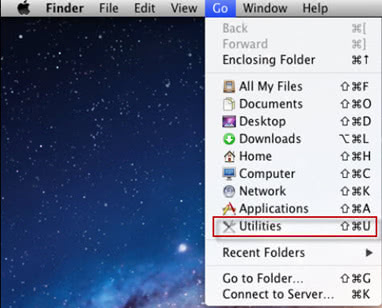 Right-click on the program that you want to remove, whether it is Tapufind.com, MacAppExtensions or a recently installed suspicious program, and select Move to Trash. 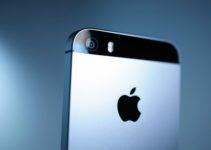 The most effective way of preventing malicious programs such as MacAppExtensions from infecting your computer is to be extra cautious when downloading free software. Once you click the “Download Now” button, most programs will open a dialogue box. Aside from the standard terms and conditions check box, there may be others which indicate bundled programs, likely to be adware or viruses. In your hurry to get to what you want, it can tempting to check whichever boxes are required for the download to start. However, this practice almost guarantees that you will also download an unwanted program. If you really need the software that you are trying to download, a safer option is to find a paid version that won’t come with any add-ons. If you weigh up the money that you have already invested in your system, it’s worth a little extra to avoid downloading a virus that will waste your time, and potentially money, removing. Finally, you must have an antivirus/anti-malware program installed on your system. It must be an updated program that can take care of the latest viruses and malware, and it may be beneficial to pay for a premium version rather than settle for a free program with limited capabilities.